One of the distinguishing features of a Muslim is his daily prayers, every day a practicing Muslim will pray 5 times, but why? What is the purpose of this? How does prayer help? Prayer is a central tenet of Islam, it is mentioned hundreds of times in the Quran and Sunnah, even if you have never read the Quran, you will know that Muslims pray. So what are they doing? How important is prayer? So prayer is one of the fundamentals of Islam, but what is prayer? We have a narration from Imam Al Baqir AS who has said, Allah says in the Quran ‘Those who consider themselves above the need to worship Me will soon go to hell in disgrace.’ (40:60) “The Imam then said, ‘This is a reference to prayer. The best form of worship is prayer.” (Al Kafi H 3047, CH 1, h 1 ). So we know Salah is a form of worship, which brings us to the next question, what is worship? 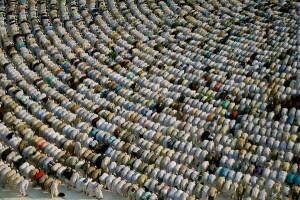 What are we doing by bowing and praising Allah? What are we trying to achieve? Prayer is a recognition of this relationship between us and Allah, a confirmation that we know what our place is in this universe. It is a time to think about Allah, His Mercy, His wisdom and our dependence on Him. People sometimes think that Salah is giving something to Allah, but Allah does not need anything, nor does He increase or decrease if we pray to Him or not. So what is the point of praying? We know that prayer is recognising the reality of our situation, the fact that we are created beings in this created universe who will be held to account for our behavior here, and that Allah is the one who can help us and He is the one who will judge us. So what does prayer actually do? What is the difference between a person who prays and one who doesn’t? Recite what is revealed to you of the book, and perform the prayer. The prayer prevents immorality and evils. with the remembrance of God who is the greatest, And God knows what you do. So Allah says that the accepted Prayer of a person will prevent immorality and evil deeds, How? by remembering Him, being mindful that our actions will have consequences. So the prayer is a tool to improve our behavior. To improve the way we handle situations in life. So prayer is like exercise for our moral decision making process, if a person prays properly, with the right intention then they are less likely to do things which are immoral and evil. So that person has focused sincerely on Allah, and is not distracted by material items like cars, friends or jealously. The narration didnt say, those who pray or kept up their prayer, but it said those who keep praying sincerely. They can see the universe for what it is, and it is much more than just gaining a car or some money or being popular. To give you an example, If we were feeling unwell, and we went to the doctor, and they did their tests and concluded that you need to become fitter and healthier or you will start to have serious health problems. So they prescribe you a routine of exercises and a healthy diet. Now if that person follows the doctors orders and stays fit and eats well, then there health should improve. So they need to make a complete lifestyle change. If someone wants to improve their moral health, then they should do salah regularly, but if you want it to have the best effect, it also needs to be part of a lifestyle change, so it means that between prayer the person should try and uphold Islamic values. Just like the example of the unwell person, its no good exercising and then eating junk food, its counter productive, for the best effect we need a complete lifestyle change. How Should prayer be used? So we can see from this narration that when you request something in prayer, Allah is not a genie who will just grant your wishes. There is a system in place. Allah will not grant someone injustice, or impose an outcome that is unjust. So if I don’t like my neighbor, I should move, perhaps he has done nothing wrong, perhaps that neighbor loves his house and the area. So just because I don’t like him, and I pray, is Allah is going to move him away? Where is the justice in that? This is obviously not how it works. When we know how to do something, but cant be bothered to do it, Allah is not going to ignore our laziness and change the universe so that we get what we want without earning it. Remember, if this life was as simple as just sitting and praying and getting what you want, the Prophet’s SAW tooth would not have been broken in battle. Our Imams AS would not have had to go to to wars and get wounded. Imam Ali AS was in the position of caliph for only 4 years, and in that time he had to fight 3 major wars. They all had to work hard to achieve their goals. Salah is not a get rich quick scheme, or a short cut, or a way around doing your duties. d how it should be used. Now lets focus on what happens if we ignore it and the consequences of not taking it seriously. That was from the Quran, now we have some narrations. So things are not always instant, you still have to earn it, Salah will give you the resolve to stay on the path and the patience to wait for our prayers to be turned to reality. he said she was afraid of God, the man then said, “have you done anything wrong?”, she said No. The man then said, you fear him this much and you haven’t done anything wrong, and even now it is me forcing you into this situation? The man then said, if that is your fear and you haven’t done anything, then I am the one who should be afraid. He then sat for a while and felt that if there was only a way to repent for what he has done in his life, he would do it. He started the journey to return to his family and try and improve his life. During his journey he met a monk was walking with him, it was a baking hot summers day, so the monk suggested to pray for cloud. The young man felt sad and said, I dont think my prayer would have any effect, I dare not even try. The monk said, I will pray, you can just say Ameen, he agreed, the monk prayed and the man said ameen. Shortly after a cloud appeared above them, they felt good walking in the shadow, but the monk and the man now are not traveling together. The monk needs to go one way, and the man the other. The shadow stayed on the young man, the one who had done all the bad deeds from before. The monk shouted to the man, God favored you over me, the prayer was accepted because of you, please tell me your story. So the young man come to the monk and told him, the monk said the sins you had committed are forgiven because of the fear that entered your heart, pay attention to your future deeds. So the young man who thought there was no hope and no point in praying, as soon as he turned to God, sincerely, and made the changes in his life, then God helped him. So Satan wants us to feel like our sins are so big that we can not even ask for forgiveness, and Satan wants us to lose hope in Allah, and give up on salah all together. Allah is telling us the opposite, all you have to do is turn to Him sincerely, he will forgive you. 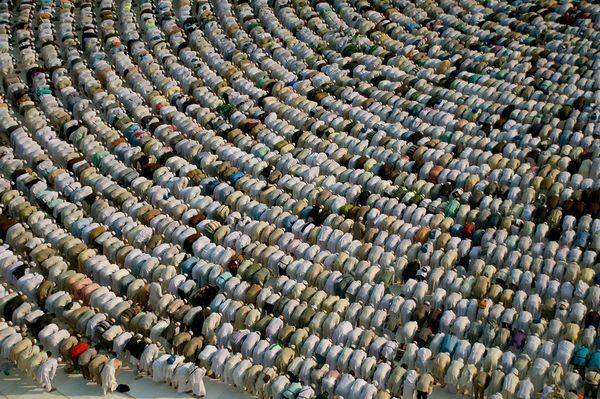 Best form of Salah – Praying together. We know what Salah is, what is does, how important it is, but salah has grades, and the highest grade is that of praying together. The people are saying that, a prayer performed in congregation has the equivalent of the merit of twenty five prayers of a man prayed alone is it true? Imam Abi Abdillah (a.s) said : They have spoken the truth, they then said : do two people make up a congregation?The Imam (a.s) said : yes and the other man stands to the right of the imam, not in one line and not behind him. So remember prayer will stop you from becoming immoral and making mistakes in your life, and by praying with just one other person, its 25x more effective. Another narration goes on to say : the prayer itself is an obligation, and not the act of congregating together , but congregational prayer is a Sunnah, and whoever leaves it – because of his dislike for it and also dislike for the gathering of the believers without having any reasonable argument, then there is no prayer from him. So to conclude, now we know what is prayer, why we do it, what it will do for us, what it will not do for us and that the best form of praying is praying together. We have all been in situations where we have sinned. None of us are perfect. Im not talking about the time you spilled some water, or turned left when you meant to turn right, those are innocent mistakes, I’m talking about sins. they were succeeded by generations who lost the prayers and followed their desires. They will meet their destruction. Prayer would have shielded a person from all of those problems and more. It is due to such narrations that the rich and successful are respected, the poor neglected and disrespected. Why would one want to worship a creator that is bias and favours based on whims or randomness?. A REAL CREATOR would be fair in all accounts. Every human being or at least theist in some sense, prays, so that they can stay away from evils, when they are neglected , what is the most rational position that would take?. Observation tells us, if one is neglected from the left, they would take the right, no different that random whims by your creator. As for prayer, I think you have misunderstood the article, and the quote. Prayer does not grant your wishes to be rich or famous etc, this is a common myth. Prayer, according to Islam, changes the individuals behavior, so that they avoid the bad and adapt better morals. If things were as you assumed, and prayer was just a “get rich quick” scheme, then the prophets would have been the richest people alive, but this was far from the case. They were however the best of morals and upheld excellent behavior, which proves that when a person prays, and it is accepted, it is their behavior which improves. As for your comment about God and the one who doesnt pray, again, the assumption you make about prayer is that it somehow helps God, or allows God to “grant your wishes”, this is not what is being claimed here. We are claiming that prayer is firstly an acknowledgement of the human condition and position of man and God. This acknowledgement makes the person who is praying a more moral person. That is all, and that is the best thing.